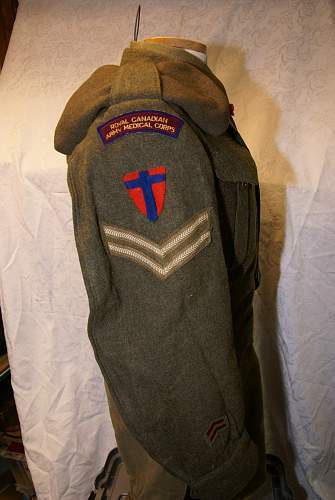 it has been suggested to me that the shoulder titles on this ww2 battle dress that I grabbed for cheap years ago might be reproductions. Can anyone who knows more about this than me help me out with whether these are real or not? Re: ww2 shoulder title, fake? I'm having troubles uploading the photo; I'll keep trying. 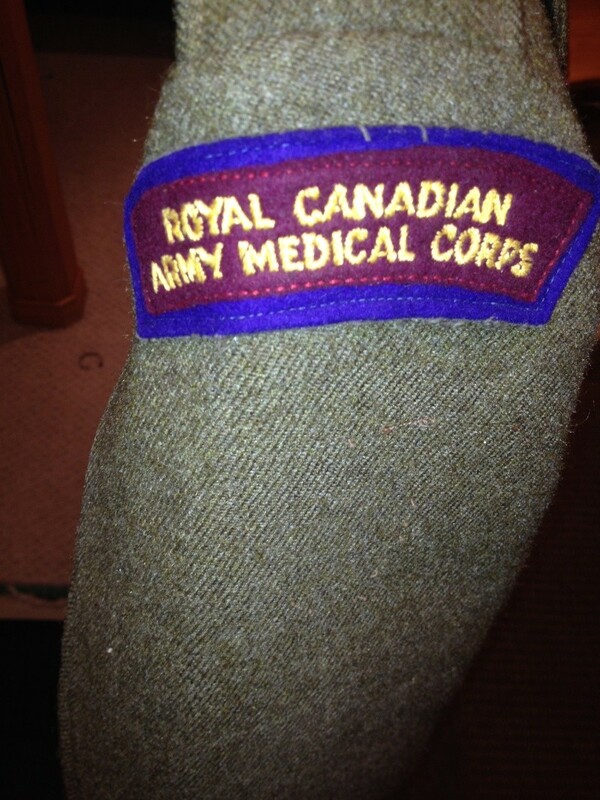 I'm not sure how accurately I'm seeing the colors on my monitor but the stitching looks like British made insignia. The titles look good. Steve has identified them correctly as likely British made. Wow; good to hear; these titles got 50 50 good/fake reviews on the WAF a couple of years ago and one guy went off with quite a bit of reasons as to why it was fake; I was going to strip it and never got around to it. Sounds like I better leave it alone. How can you guys tell whether it is Canadian or British made? How common a BD would this be? 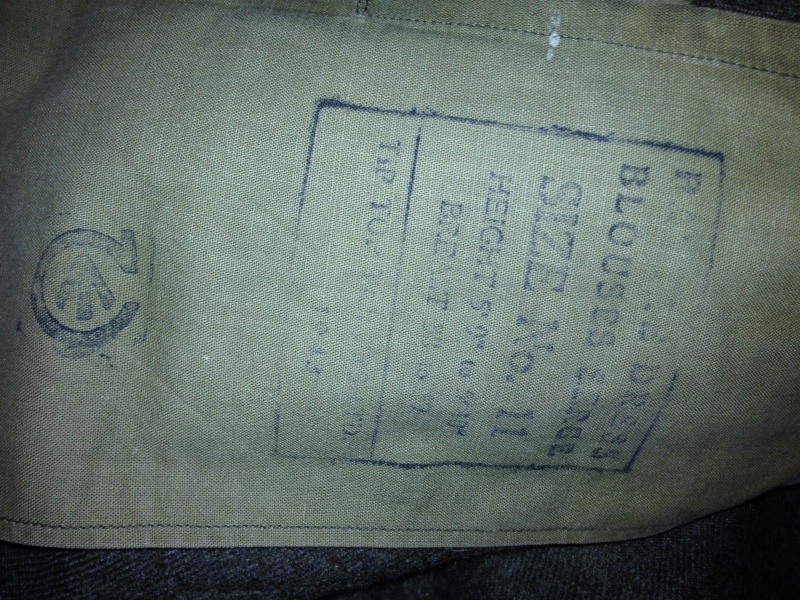 HI Todd, Could you post more images of the tunic, including the tailors stamp, and the other shoulder. I am puzzled why anyone would fake the RCAMC titles. They are dirt common; you can't give them away. Note, the fully spelled out titles were overseas issues, while they used the abbreviated titles in Canada. This practice got a bit messed up later in the war when there were lots of personnel repatriated to Canada. Screwing around on the internet trying to figure out what this triangular shaped badge might have been and found this; I think I have my answer! What did this triangular badge with the cross definitively represent, ie; what is called and what did it represent? Thanks for the help! Hi Todd, The patches are 21st Army Group, L of C (Line of Communications) formation signs (shield shaped, not triangles.) 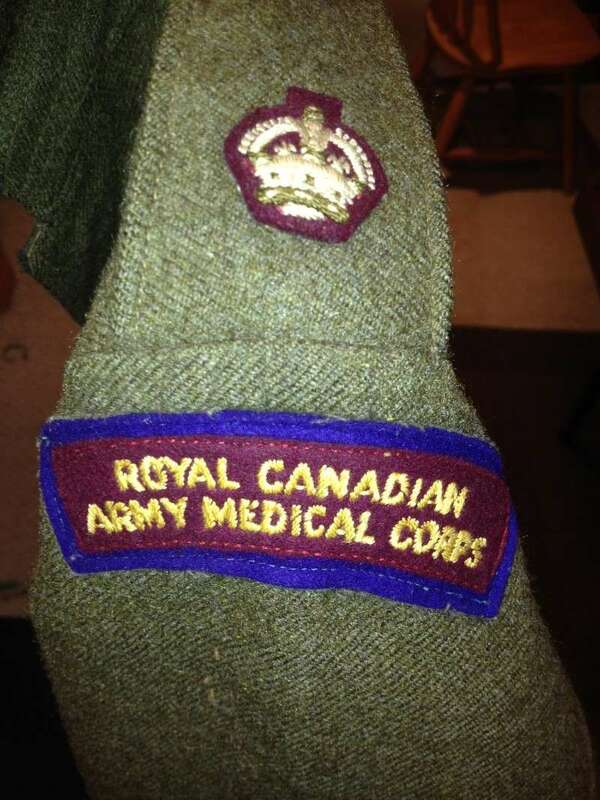 This would be consistent with hospital or rehab units or RCAMC administrative units supporting the First Cdn Army and Second British Army in Continental Europe in the later stages of the war.